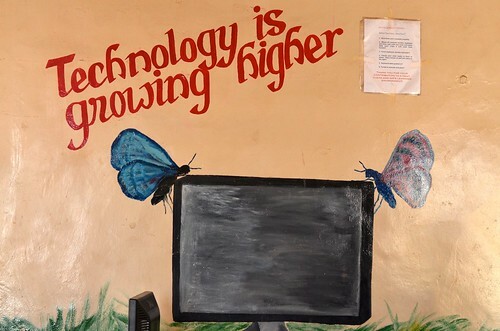 Earlier this month, I traveled with a bevvy of women in tech (including former Etsy CEO Maria Thomas and Twitter’s Jessica Verilli) through the capital cities and upcountry stretches of Liberia (pop. 4M) and Sierra Leone (pop. 6M) , two small countries pressed together along the Western coast of Africa. We were all part of the Women’s Technology Delegation, an unusual State Department mission formed to understand how technology can play a role in alleviating poverty, bridging the gender gap, and keeping the peace in two of the world’s most fragile nations. Below are some highlights and interesting stats from our interviews with Liberia and Sierra Leone’s political and business leaders. Most people think of these places as technology backwaters — regions roughly equivalent, in terms of infrastructure and demand for high technology, to pre-industrial Europe. When I met Paul Graham last year and told him a Y-Combinator-like model could work in Africa, he countered that he’d love to fund startups there, but only if they were working on “the basics” — water, power, and roads. His reasoning mirrors what I’ve heard from other wealthy Westerners: countries in Africa will follow the same growth trajectory as those in the developed world. The basics must necessarily come before everything else. But anyone who’s traveled to the continent recently knows better. African countries are trying to “cheat history,” as one senior UN official I met put it. Barely literate people in the poorest villages, places where there are no schools and the life expectancy is under 50 due to lack of health infrastructure, use mobile phones to listen to the radio, send money, buy and sell stuff, and even to study. 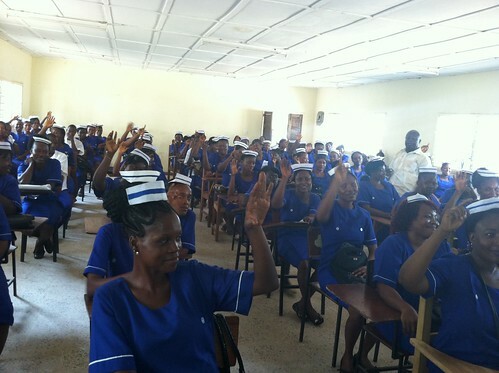 When we flash polled a roomful of eighty nursing students in rural Sierra Leone, everyone’s hand went up when we asked who owned a phone and had heard of social networking. Their lives are a mashup: Facebook Zero meets the Middle Ages. Our delegation met with the heads of the major telecom operators- six to eight firms account for 80% of the subscribers in both countries. Penetration is surprisingly high for a region where most people make less than $1 a day: 47% percent of Liberians and 50% of Sierra Leoneans use mobile phones. The cost of a handset is under $15, and top-up cards are under $5. As in other parts of the world, growth is expected to come from data plans and value-added services. We heard of some interesting ones — Lonestar, Liberia’s biggest provider, is rolling out a 150MB data plan for students priced at a mere $12/month, and has experimented with services that include mobile radio. Koran and Bible stations are wildly popular, and mobile radio now accounts for 15% of Cellcom’s usage. Efforts are underway to get phones in the hands of some of the countries’ poorest residents. Mamatel, a plan adapted from Bangladesh’s Grameen Phone service that helps rural women lease out airtime on shared phones, is now a profitable business with 1,000 phones across Liberia’s rural areas. Splash and Zap, mobile banking services rolled out by the two major carriers in Sierra Leone, are advertised throughout the country. 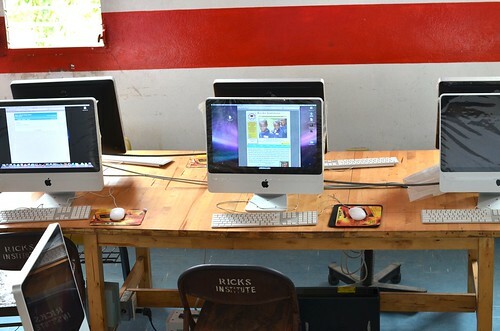 We toured several internet centers, all using VSAT connections and generators at a cost of $3,500 per month, not including fuel for a generator (an additional $800). There aren’t many of them (Freetown, Sierra Leone’s capital, has 53) but there will be soon –the ACE fiber-optic cable and Etisalat’s O3B low-orbit satellite (the latter partly funded by Google) will hit both countries in 2012. These developments are expected to bring down the cost of Internet access for the average person by at least 40%. In the interim, the World Bank and Gates Foundation are subsidizing bandwidth — Google has also hinted at funding Wi-Fi and other access points in major cities. Sierra Leone’s national telecom association told us that capacity is growing a whopping 100% annually. There’s a great Hindi word, jugaad, that we use at Samasource to describe how we do things — it roughly translates to “scrappiness with a slumdog twist”. Think of a bunch of villagers cobbling together a makeshift cart out of a few bike wheels, scrap metal, and bungee cords to get their stuff to market. Scrappiness is what makes great entrepreneurs, and why I think Africa has a good shot at cheating history. if you grow up in a poor country, jugaad is part of your DNA. It’s a beautiful thing to see in practice. We had the chance to hang out with the Queen of Scrappiness, also known as “Mama Monrovia,” Mayor Mary Broh, ruler of Liberia’s capital city and the biggest ballbuster I’ve ever met. Broh used to manage logistics at Marvel and was recruited by President Sirleaf after the two of them met on the street in NYC in the mid-90s. 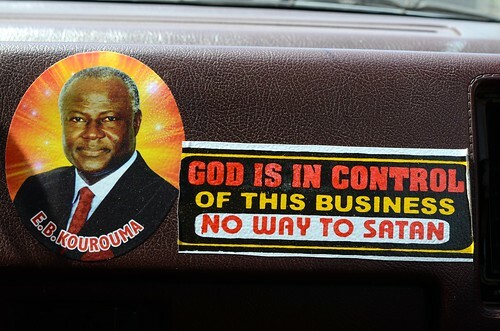 Mayor Broh has made Liberia the cleanest African city I’ve ever visited by using a combination of threats, charm, and sheer will to get citizens to stop littering. She imported a posse of young women from Africa and the US to run various functions in City Hall, including a new public bathroom project, all on a budget of $1M. She goes around the city threatening corrupt politicians who litter and don’t pay their taxes. She’s also planning to launch an internet center, run as a business by a woman entrepreneur, at some point this year (those interested in helping to fund this effort can send me an email). Perhaps Paul Graham — and other investors in Silicon Valley — will reconsider. Leila Chirayath Janah (@leila_c) is the founder of Samasource, a social enterprise that connects people living in poverty to work via the Internet. Janah received the World Technology Award in 2010, and serves on the board of Tech Soup Global. She lives in San Francisco.